I'm giving away a stack of ARCs. Go enter! In exciting style news I'm going to get a new haircut this week. Are you breathless with anticipation? I am! I'm going to have my guy cut off a bunch of hair and give me a messy bob. That's the plan at this point. I'm sure you'll stay tuned for any changes. There weren't many adventures in the kitchen this week. I didn't make anything terribly exciting or new. 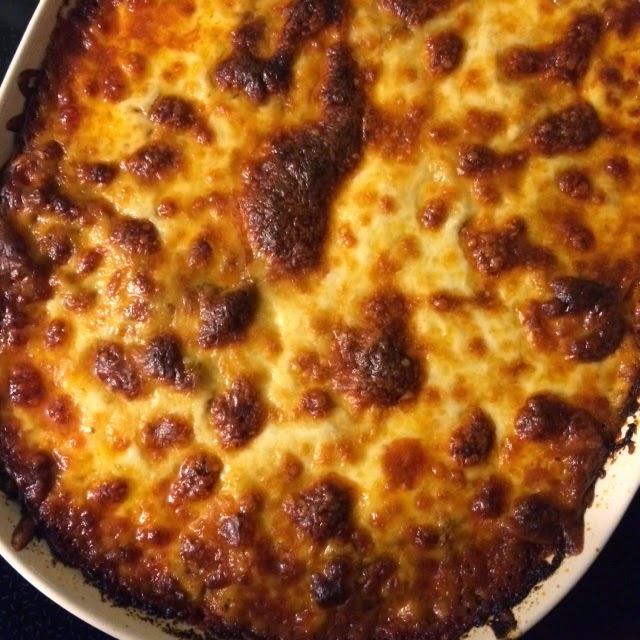 I did make a big dish of my granny's pizza hot dish. Mmm, it's like the Midwest in a bowl. I recently finished All the Light We Cannot See. Good gravy, what a gorgeous book. I also read My Sunshine Away, a brilliant tale about crime and childhood. I found time to sneak in two adorable graphic novels by Raina Telgemeier: Smile and Drama. 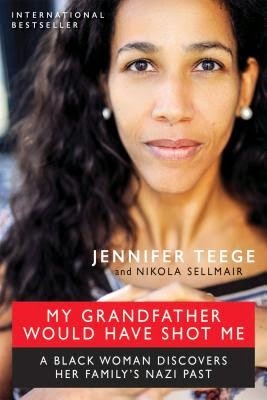 Right now I'm in the middle of My Grandfather Would Have Shot Me by Jennifer Teege. (It's INTENSE.) January is shaping up to be a stellar month of reading. My pal Andi (Estella's Revenge) was in the Wall Street Journal! How cool is that? Do you dig nonfiction? Doing Dewey has a Nonfiction Friday feature that you should totally be reading. Anita published a piece on ARC overload. Check it out! This week was weird. I'm very ready to move onto the next. And we will stay tuned on any changes to your hair...as always ;). In my neck of the woods, not a lot. Just cold again, but I don't have to tell you about cold, I don't think. So probably warm here compared to where you are. Today? Reading Sunday Salon and other posts. Listening to chill music while doing that. Watching more Friends later...what are you going to watch now that TNG is over (almost over?) for you? I'll be sure to Instagram my new 'do this week, lol. I don't know what I'll do when TNG is over. Start at the beginning? Ha! I might watch the original series. Then Deep Space Nine. Thanks for the shout out!! You are having a good January, I was rolling along until this week, and while I'm enjoying My Father's Wives by Mike Greenberg I was just so distracted all week. Hoping to change that soon. I love non fiction just an not commit to any structured reading :) I still need to read All The Light We Can Not See. Isn't it just a gorgeous read? Sigh...so good. I'm excited about the new 'do as well. I have a plan. Shorter now, really short in the summer. I'll be in the pixie club one of these days! I take it your week wasn't weird in a good way? I hope next week is better. pizza hot dish?! Details!! And please do share pictures of the messy bob. I'm eager to get mine cut...just not overly eager to make the time to get it done. Bah. Hope this week is an awesome one for you! I'm going to have to share the recipe on my wrap-up post next week :D It's not online anywhere that I know of. My grandma used to make it, then my mom, now me! Happy to hear you liked All the Light We Cannot See. I loved that book. Oh gosh, so SO much. I thought it was so lovely. I'm so curious about All the Light We Cannot See - I need to pick up a copy soon! You're welcome :D Thanks, it is so far! Oh no! That stinks :( I hope you move up the list quickly! Can't wait to see the new haircut! And I'm glad you've been reading books you can be excited about. Both All the Light We Cannot See and My Grandfather Would Have Shot Me sound really good. Have a great week - better than this one, I hope! I love messy bobs! Also love All the Light We Cannot See." Just saw The Imitation Game. What's with all the great WW!! novels and movies of the past few years? Every time I turn around there is another one. Oh I want to see that movie so badly! Your pics of food always make me hungry! Seriously, that pizza hot dish looks delicious. Mmm, I wish the leftovers weren't gone, lol. Same to you, Melissa! Oh I love hair cuts! Hope we see a pic! I'll be sure to share! Pizza hot dish? Um. Recipe, please! Pictures of the new 'do!!! I love new hair pictures! Um, I don't really care what else is in that recipe because OMG that cheese. I'll take it. Looking forward to seeing the new haircut! That pizza dish looks delicious. Seriously delicious! Like other commenters, I want the recipe. Pizza hot dish? Midwest in a bowl? Recipe, stat! We'll be waiting for the transformation! Thanks for the links around the blogsphere. I always enjoy those. And if I've read one of the articles you link to, there's always a few I haven't seen. Totally cool. I'm glad you enjoy the links, Heidi :D I like to spread the word! I have the audiobook of All the Light We Cannot See, but haven't listened to it yet. Someone in my book club just finished it and was raving about it yesterday. :) Glad you loved it, too! I just got a bob the last haircut I had but I've been looking at some other bob cuts that are definitely what I would call messy which I'm hankering to try. Do post pics!